Love brownies? Well that is a rather open ended question – who does not. 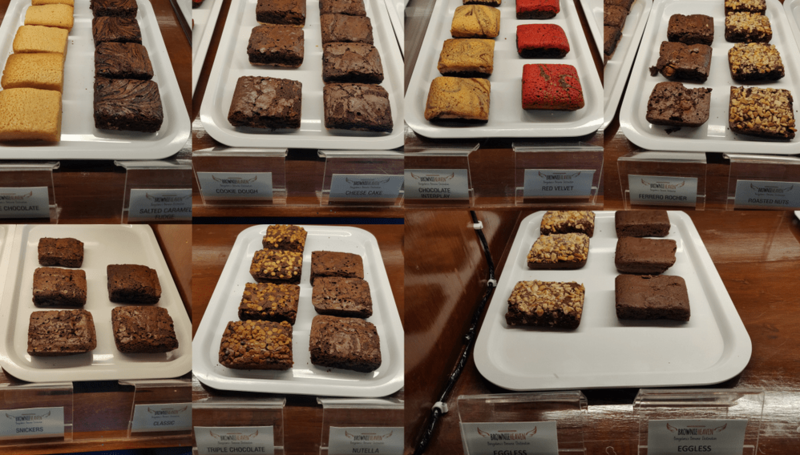 So what if I tell you that there are a variety of different kinds that you can actually eat at a delightful space in Cunningham Road in Bengaluru that exclusively retails brownies? Well welcome to Brownie Heaven, this is where you find all this and more. The décor of this compact space is what catches your attention first. 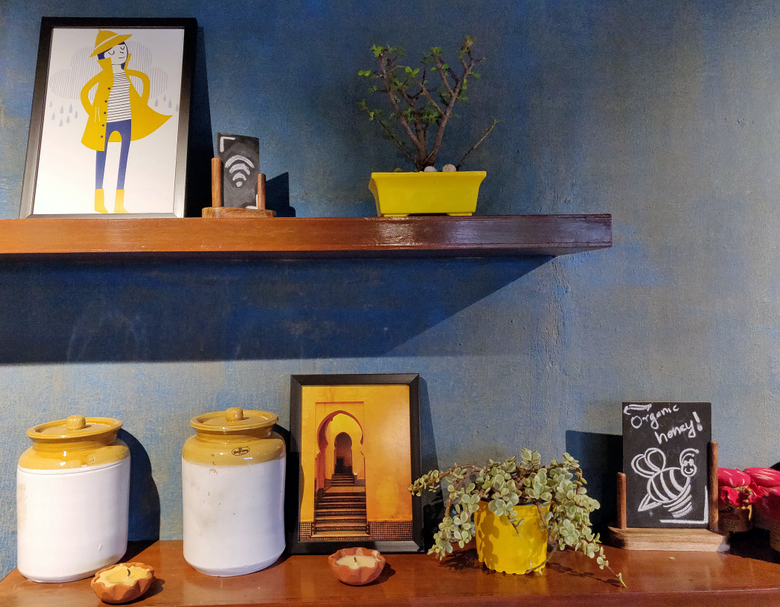 Done up with bright yellow walls, the pop of blue and brown colours and interesting accessories as well as potted plants set the tone for the food experience quite perfectly. A concept created by Chef Nishant Vijaykumar, a gold-medalist from the Welcomgroup Graduate School of Hotel Administration, in Chennai, this is the second outlet in Bengaluru. 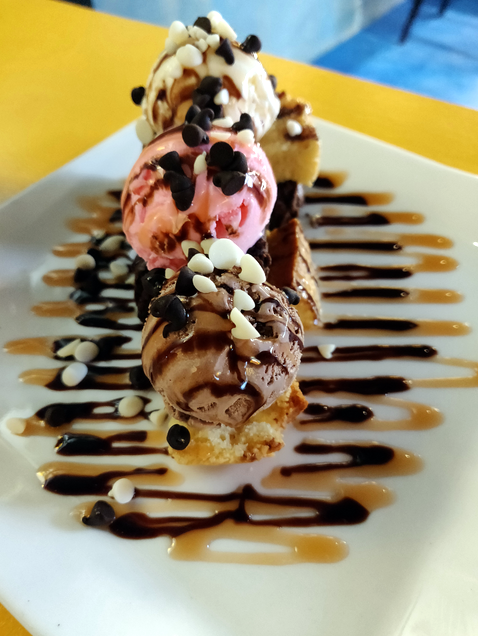 What started as a home grown, made-to-order dessert business in Nishant’s home kitchen, Brownie Heaven has 15 outlets in Chennai and two in Bengaluru. The brownies here are the star attraction and the varieties are quite mindboggling. So you have Snickers, Ferrero Rocher, creamy vanilla, Red Velvet Cake and more all incorporated in a brownie. 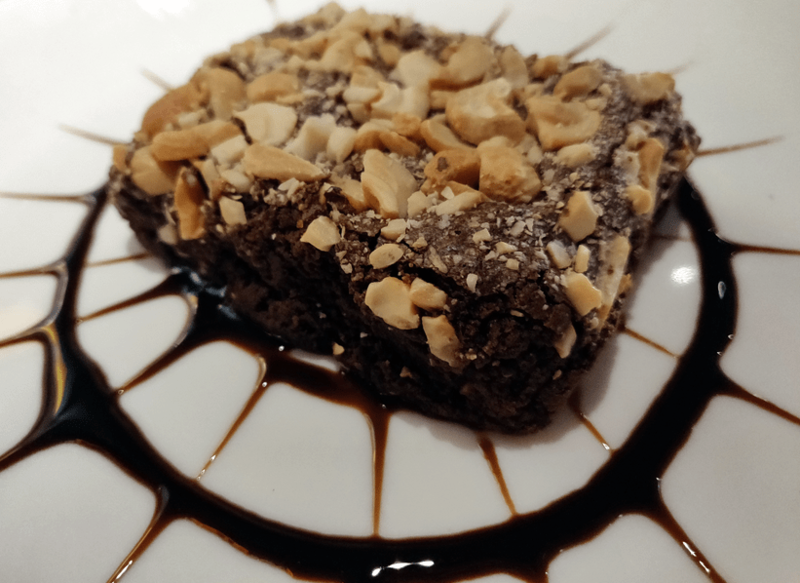 The delicious square chocolate dessert is also available in eggless variants – include a plain and nut variety. There is also a Keto special brownie (yes you read that right) made with almond flour. 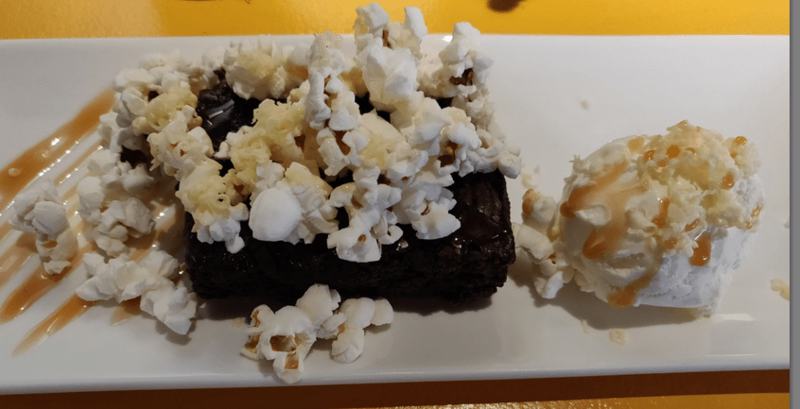 Interestingly, there are designer dessert creations as well including Brownie Banoffee, Brownie Black Forest, Brownie Cheesecake, Brownie Tiramisu, Brownie Popcorn – you can choose from a whopping 22 flavours here. My recommendation is Stairawy to Heaven a delightful mélange of three brownies topped with different ice cream flavours that will transport you to heaven as well as the crunchy popcorn and caramel ice cream brownie that packs a punch with its unique combination. All the brownies here are moist and decadent as the flour content is less compared to usual brownies, And if you are thirst wash it all down with the sinfully delicious brownie milkshake. Or you can even sample the special coffees and teas here too. So well keep calm and eat a brownie. This heaven is sure to transport you to gastronomic haven! Check it out at Westminister Building, Cunningham Road, Opposite Chai Point, Bengaluru.